Maruo eiichiro (E-Chan), a first year honor student, one day decides he's unhappy with the way things are and lacks exercise. He finds a flyer for the Tennis Club and decides to check it out. He's instantly captivated by it. 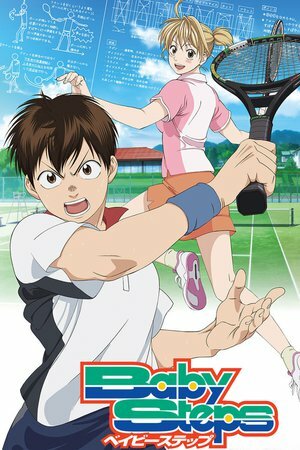 With no prior experience and poor physical conditioning, join E-Chan as he embarks on a tennis journey using his smarts, dedication, and work ethic. Très bonne série, assez réaliste. Bon successeur de Prince of tennis. J'adore !!! Vivement la saison 2 !! !